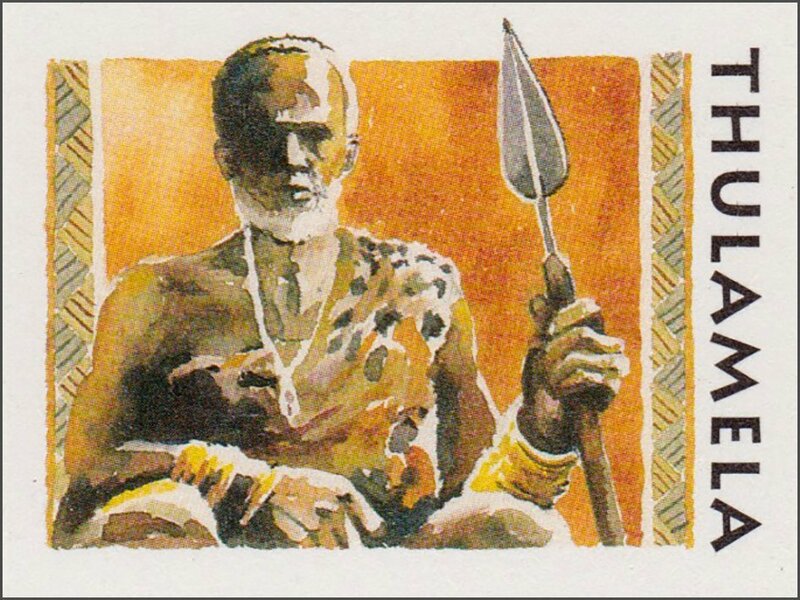 King Ingwe was ruler of Thulamela around about 1400 AD. He holds a spear, the handle of which was originally covered in gold foil affixed to the wood underneath with minute gold nails. The blade of this spear, which was found at the grave site, was not sharpened. This suggests that it was a ceremonial spear and that it was probably a symbol of leadership. Around his neck are gold and ostrich shell beads, and over his shoulder, a leopard skin. Sue Dickinson imagined what the King may have looked like, creating this regal image.